Treve wrote: Make it a good one, and show the boys what you're made of, Forever Unbridled! Also... Medaglia d'Oro is a droolworthy cross. I don't know what Fipke will name the resulting foal. He has sent Lemons Forever and Unbridled Forever to MDO the past few years.
. Will you please explain the Rags to Riches 2.0 reference? I am trying to learn more about the industry. Thank you! I'm really disappointed. I was pretty damn excited about an American Pharoah x Stellar Wind mating. Why not just breed her to him first and then try Ireland later? Did Rags to Riches ever go to someone besides Galileo? When Rags to Riches retired as a broodmare, they sent her to Giant's Causeway once though the filly she produced was never raced. Then they bred her once to Henrythenavigator (before they carted him off to Siberia), that foal raced once didn't hit the board and then ???. Afterwards they sent her to Ireland and bred her to Galileo. Over and over again. Unsurprisingly this cross has not produced some genuinely successful offspring on the turf, except for Rhett Butler who found success running in... Hungary and Serbia (he is a multiple stakes winner there). She has one other son running, Rich and Righteous in Dubai who has one win from 18 starts on the dirt. People everywhere lament and puzzle the decision of Coolmore to send such a successful dirt mare with a deep dirt pedigree over and over again to Galileo, king of the world yes, but who hasn't produced any noteworthy dirt horses (and I wonder how many other winners on the dirt besides Rich and Righteous he has produced at all), when it would seem logical to try her with some top Dirt or Dual Surface stallions a few times before trying again with top Turf stallions. Was Rags to Riches bred to him again this year or did they finally send her to a different stallion? I had completely forgotten but Rags to Riches went to Tapit in 2017 for a 2018 foal! Hopefully that will be a good one Not sure when her due date is, and I am not sure if she had a foal last year. I'm trying to find that info! Her Giant's Causeway daughter, Opulence had an American Pharoah foal last year. Makes me wonder how Royal Delta's filly by Galileo is doing. She's a yearling now. By the way, Rags to Riches' blue dam, Better Than Honour went to Curlin last year. She's 22 this year, I wonder if this will be her last foal. Why not try? Galileo isn't getting any younger. If the cross isn't successful they can send her back to the US. Galileo over Smart Strike mares has worked. Maybe the cross produces a superstar. Shadai buys alot of US dirt mares to send to Deep Impact, and they have had wonderful success. As for why they tried with Rags to Riches. Her female family is loaded with top turf horses. Maybe because Galileo is getting up there in years. Since they race primarily in Europe, maybe Coolmore decided to send her to their best stallion and arguably the best turf sire in the world. Flanders wrote: Why not try? Galileo isn't getting any younger. If the cross isn't successful they can send her back to the US. Galileo over Smart Strike mares has worked. Maybe the cross produces a superstar. No. I get it. It's actually an intriguing cross really. More like a knee jerk reaction on my part. Just unfortunate that couldn't overcome the failure of the Slew/Indy line on any major turf. Nor could Rags overcome Galileo's lack of success with a dirt runner. Seems every foal got the dominant 'can't run on this surface' gene. Rhett Butler was named Hungary's 2016 HOTY, Champion Older Horse and Champion Stayer. At least its something. I always wondered what Opulence would have done but she was injured before she had a chance to race. 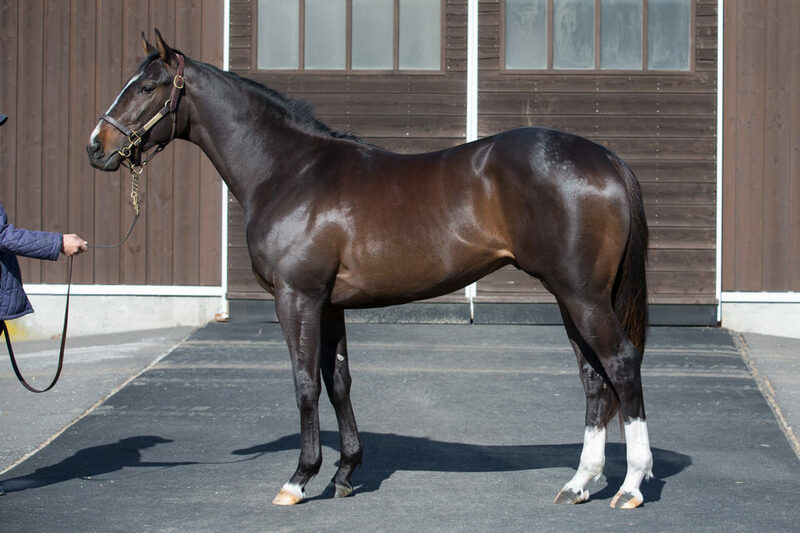 Opulence's 2YO, Fort Wadsworth (by Verrazano) is in Japan. Hopefully he'll do well there and our trusty Japanese posters will keep us in the loop if they see some info about him. Fort Wadsworth(USA), 2016C. Verrazano(USA) x Opulence(USA), is now preparing for his debut at Northern Farm. He will be trained by Masayuki Nishimura. Thank you, Tachyon! He looks a LOT like Verrazano.